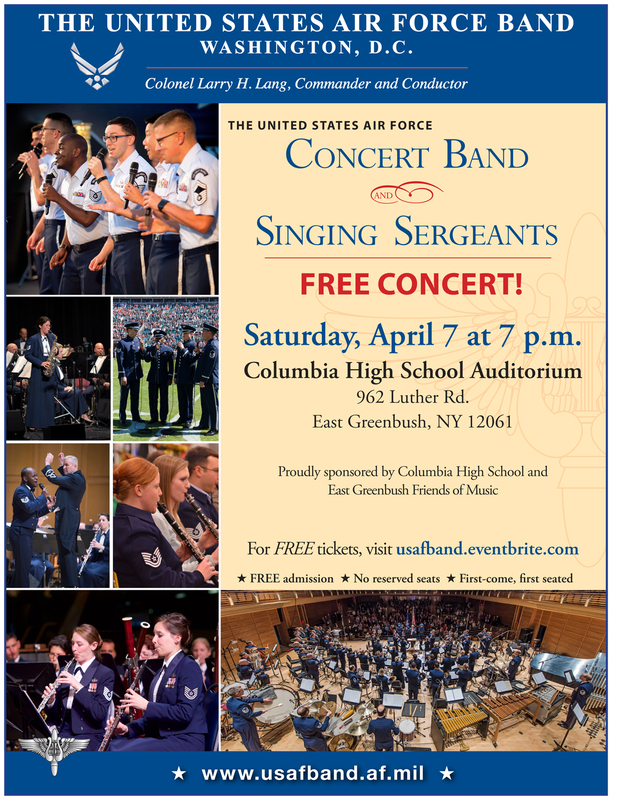 The United States Air Force Band will perform a free concert on Saturday, April 7 at 7:00 p.m. in the Columbia High School Auditorium. 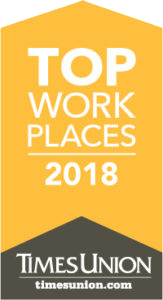 Tickets are free but must be reserved ahead of time. Seating is first come, first seated. The United States Air Force Concert Band, the premier symphonic wind ensemble of the United States Air Force, will perform alongside the Singing Sergeants, which is the official chorus of the United States Air Force. The concert will include a wide range of musical styles, from traditional Americana, opera, and choral standards to modern Broadway and jazz. This event is sponsored by Columbia High School and the East Greenbush Friends of Music.